Mariah Carey bares it all! 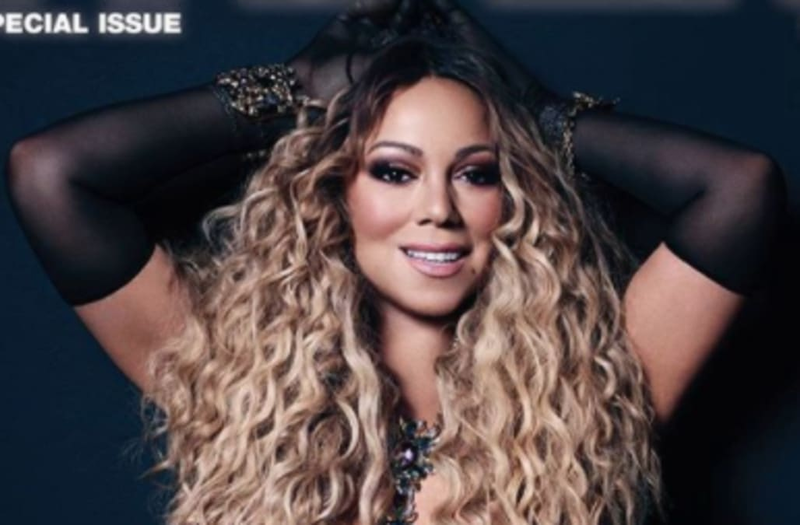 The "We Belong Together" chanteuse covers the latest issue of Paper magazine, and she looks better than ever. Carey's revealing cover is one of four new covers for the magazine's special-edition Las Vegas issue, which highlights Carey, Backstreet Boys, Ricky Martin and, most notably, Jennifer Lopez. SEE ALSO: John Stamos bares all for his 54th birthday: See the racy naked pic! In her scantily-clad cover, Carey wears nothing but black underwear, fishnets, sheer black gloves and a chunky, bejeweled body chain around her torso. Her voluminous curls are draped down over her cleavage to make the snap a bit more modest. In the accompanying cover shoot, the stunning star puts a diamond-encrusted top on and rightfully dons a crown. For her cover, J.Lo rocks an over-the-top, cleavage-baring number adorned with countless diamonds, a bejeweled headpiece and more. Carey and Lopez both covering the same magazine in the same month is notable because of their headline-making feud over, which has played out in the media over the last couple of years. Both stars have repeatedly told reporters and interviewers that they "don't know" each other, despite the fact that they have reportedly met one another. For more on Paper magazine's Las Vegas issue, click here.